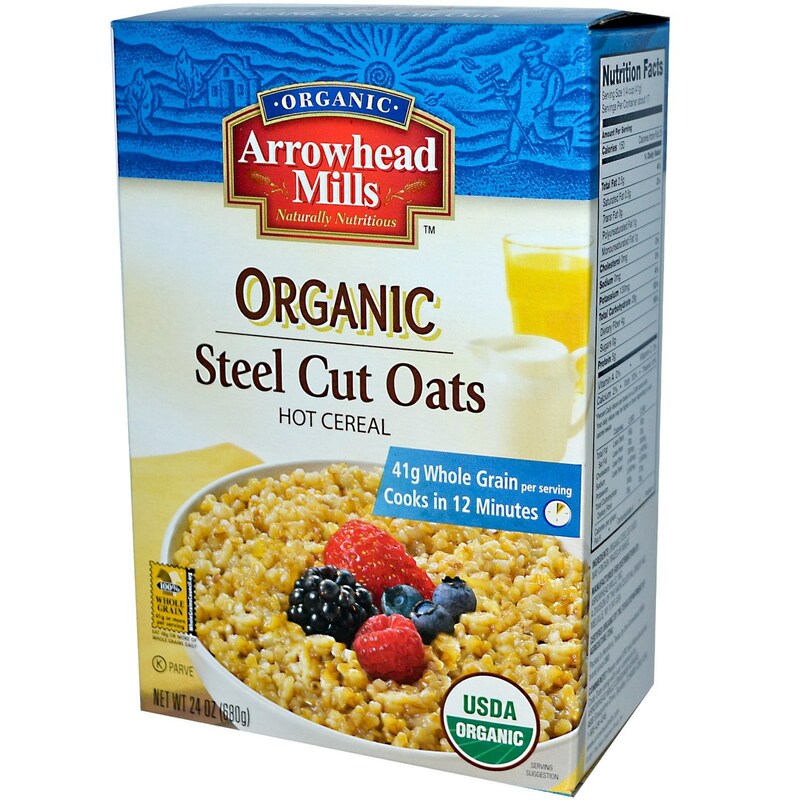 With 41 g of whole grains per serving, Organic Steel Cut Oats Hot Cereal by Arrowhead Mills is a tasty, healthy way to start your day. Not only is Organic Steel Cut Oats Hot Cereal healthy and tasty, with a delicious toasted flavor, it's convenient too, cooking in just 12 minutes. 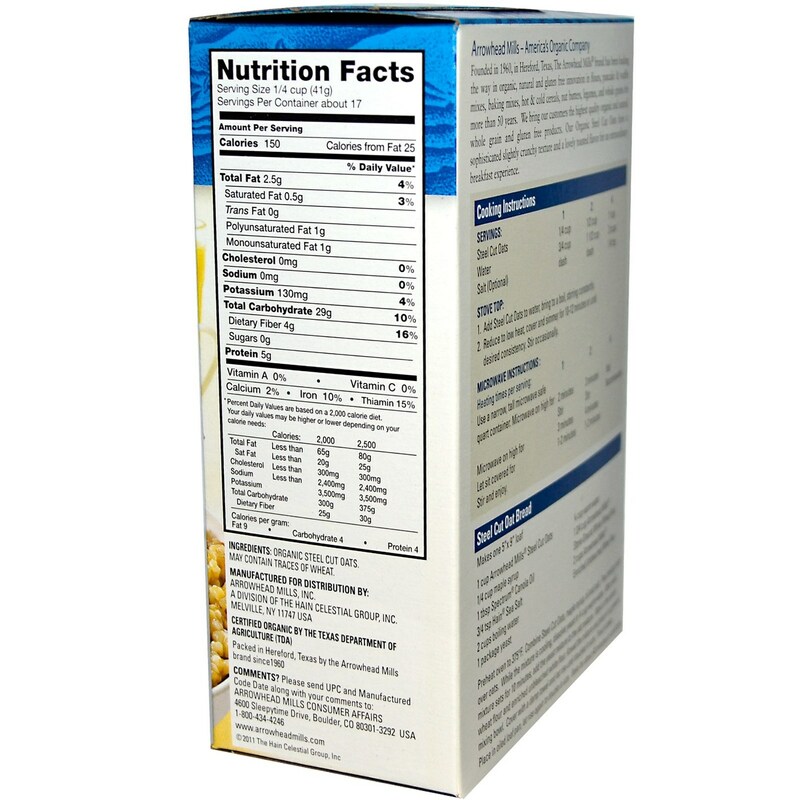 This cereal is certified organic by the USDA, so you know there won't be any chemical residue in your breakfast bowl. You'll also get a third of your recommended fiber in every bowl, so it's great for digestive and heart health. Whole grains are thought to help maintain healthy lifestyle choices that aid in keeping your healthy. Order Organic Steel Cut Oats by Arrowhead Mills from eVitamins today to help improve your health! Recommended Use: Cook 12 minutes before enjoying 1/4 cup daily for health benefits.